It is also my pleasure to announce that the DreamWorks adaptation of Smekday will feature Ms. Jennifer Lopez as the voice of Gratuity's mom! Now if you know me at all, then you know that I am the annoying gadfly that makes everyone listen to the audiobook of The True Meaning of Smekday because it is not only one of the funniest books ever written, but it's also one of the best audiobooks ever produced. One of the reasons why Smekday is so funny is because there is a hilarious and endearing alien named J.Lo in the book who has a very unique cadence and manner of speaking. So the fact that J.Lo is going to be the voice of a character in a movie where an alien in the story is named J.Lo, well that's just pretty darn meta (and epic!) don't you think? Oh I loved this one! I immediately started Smoke after. I'm planning a longer review but we'll see if that happens. I'm feeling uninspired to write reviews lately and I don't know why. 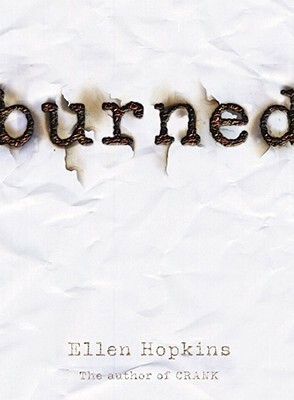 I finished reading this book and immediately began to cry. In fact, my dog Frank got up and clearly was concerned for me, as evidenced by this photo. 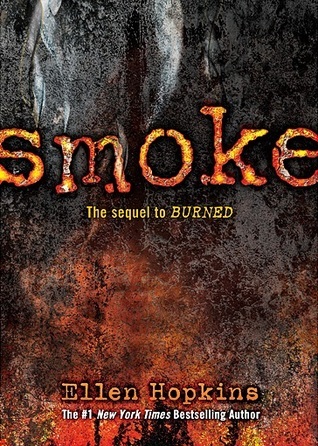 This is another book that is awaiting a longer review. 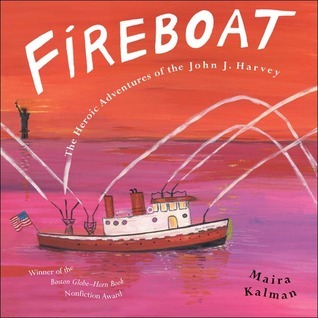 Yet another picture book text that can spark students' interest in little-known stories. Carnivores have feelings too! 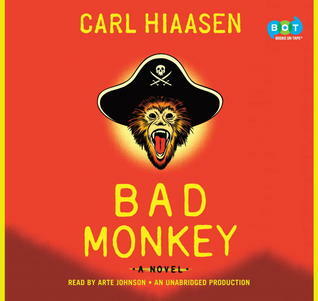 At first I wasn't diggin' this book, but the more I thought about it, the more I realized my reaction as I was reading was very similar to my initial feelings about I Want My Hat Back. In fact, I could see this text being paired with I Want My Hat Back to talk about whether we sugar-coat stories for kids or give it to them straight. Carnivores can't fight who they are. They eat other animals. It's what they do. And how can you not want to read this book when you see the book trailer? Yep. I'm still pluggin' along on this one. 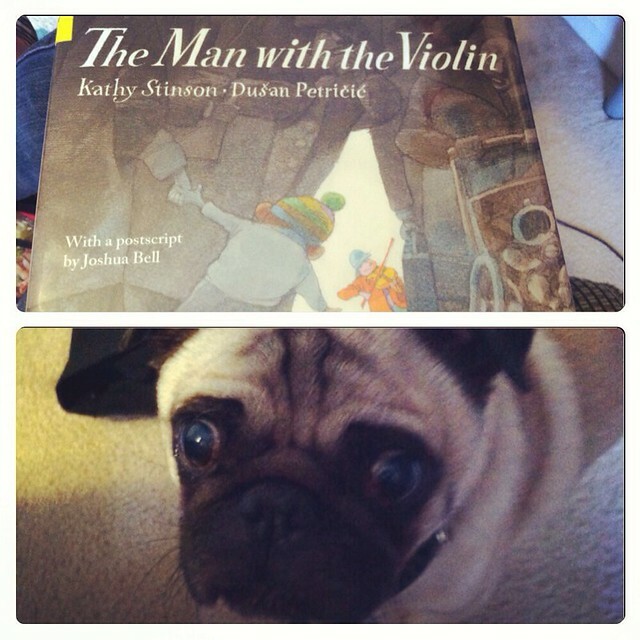 I am so pleased that you loved The Man with the Violin - even with these strong emotions. What a book. And how I love that photo of your concerned little pup. I need to get my hands on Carnivores. A friend just bought it - think I need to steal it for a while! I know my students will love it. With all the chatter about Carnivores, I'm going to have to grab that one soon. 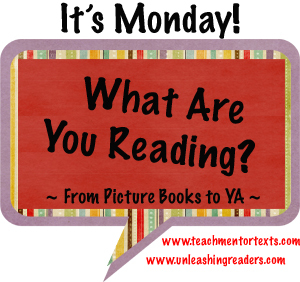 I read a tear-jerker picture book this week, too! The Man With the Violin sounds like a book I should definitely get. Your dog does look very concerned. 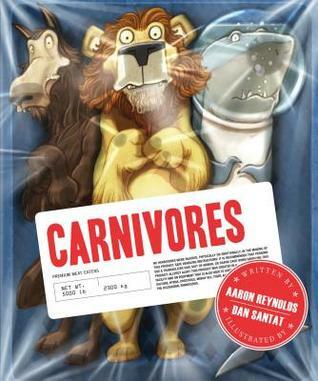 :( Carnivores also looks amazing - it's been doing the rounds in the blogosphere the past week. So excited about Smekday! I missed announcements so thank you for sharing here!! !